Lion Noir – a modern French restaurant with a lounge, cocktail bar and hidden garden in the heart of Amsterdam – offers an authentic culinary experience in a unique and intriguing setting. Serge Rijn, owner and host of Lion Noir teamed up with Casper Reinders and Mr. Yen in 2010 and created Lion Noir in the historic “Gouden Bocht” on the infamous and happening Reguliersdwarsstraat in Amsterdam. Casper Reinders created the signature interior together with Thijs Murré and Serge Rijn, hand picking the diverse eccentric objects, making Lion Noir the elegant place it is. 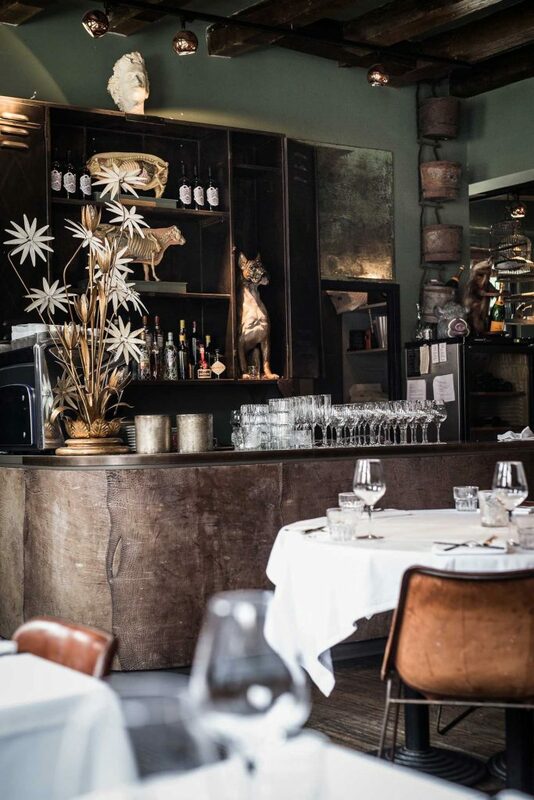 Lion Noir’s eclectically chic ambiance has won much admiration, including an Interior Design of the Year Award. Chefs Sammy Chau and Ron Dijkstra create constantly evolving menus with a modern take on French classics with spices all over the world, reflecting the availability of locally-sourced fresh ingredients. The best available ingredients of the moment are reflected in their weekly changing chefs’ menu, consisting of local, seasonal and exclusive products.